The company plans to buyback 20,585,000 shares, which implies 2.1 per cent of the total shares outstanding. Last month, IT services firm Tech Mahindra announced its first-ever share buyback worth Rs 1,956 crore at a price of Rs 950 per share, which is over 15 per cent premium to the current market price (as of Wednesday's close). The company plans to buyback 20,585,000 shares, which implies 2.1 per cent of the total shares outstanding. The buyback size is 9.2 per cent of the company's net worth and nearly 29 per cent of cash and investments as of third quarter of financial year 2018-19 (3QFY19)-end. SHOULD YOU TENDER YOUR SHARES? Investors with a long-term view should hold on to Tech Mahindra shares, instead of making some quick money by tendering them in the buyback programme, advise market experts. Earnings of the IT companies, they say, have been improving and they are likely to improve further, going forward. Hence, one should be patient and stay put to earn greater returns over a long period of time. Gaurang Shah, Head Investment Strategist at Geojit Financial Services, says,"If you look at the buybacks done by two big IT companies- Infosys and TCS, the current market price of their shares, after adjustment, are much higher than their buyback price. Hence, it is advisable for long-term investors to skip this buyback." Echoing similar view, Jagannadham Thunuguntla, senior vice president and head of research at Centrum Broking, says history shows that cash-rich companies which announce dividends, buybacks on regular basis are good long-term bets. "These are good, quality companies. So, instead of going for a quick money, investors should stay invested as they will create much more wealth." 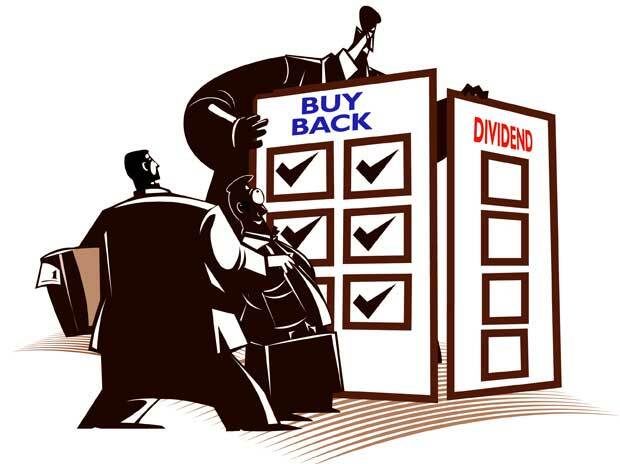 However, if someone has bought the stock with a short-to-medium term perspective, keeping buyback in the mind, then one can consider tendering. "There are arbitrage-specific investors who view buyback as an arbitrage opportunity. These set of investors can consider to participate in the buyback", Thunuguntla says. Most analysts tracking the company have a 'buy' call on the stock, and they see a marginal positive impact on the company's EPS (earnings per share) post the buyback. Post buyback, adjustment to net cash position by Rs 1,956 crore implies a total treasury income reduction of Rs 110-150 crore for FY20/21. Total share count post buyback will be 86.7 crore. "Factoring in this, our EPS estimate for FY20/21 has marginally increased by 30 basis points (bps)/10bps," said Motilal Oswal Financial Services in a report. The brokerage has 'buy' rating on the stock with the target price of Rs 940. Harit Shah, research analyst at Reliance Securities, says Tech Mahindra’s first-ever share buyback signals positive intent of the company with regards to its capital allocation policy. The buy-back also provides confidence on management’s view of underlying business strength, and will boost sentiment, they say. "Rolling over our estimates to FY21E, we maintain our BUY recommendation on the stock with a revised Target Price of Rs 925 (from Rs 825 earlier), valuing it at 15x FY21E EPS," Shah wrote in a report dated February 21. Vineeta Sharma, Head of Research at Narnolia Financial Advisors, says 5G, which is expected to roll out late in FY20, should provide impetus to the company's growth. However, "margins are expected to be bit lower in FY20 as some pressure are expected due to addition in workforce and training and localisation challenges which most of the IT companies are suffering from. "